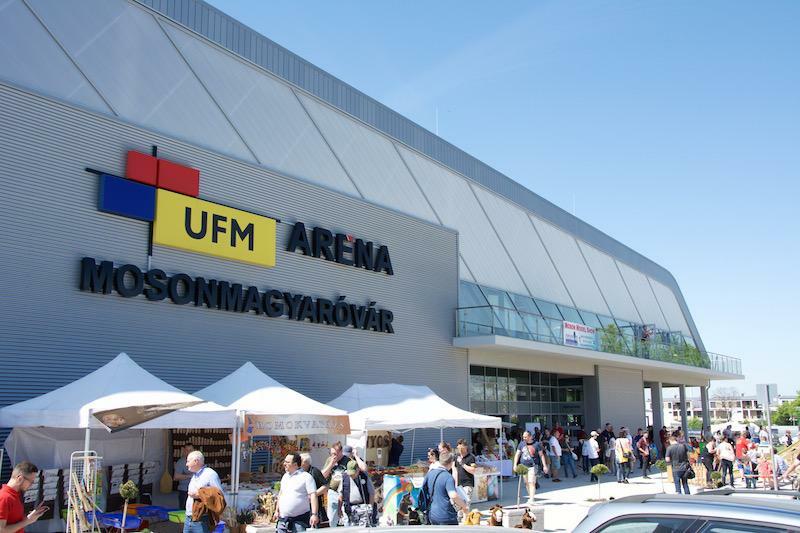 Mosonmagyarovar is a small town, situated in the north western corner of Hungary, close to the borders of Slovakia and Austria. 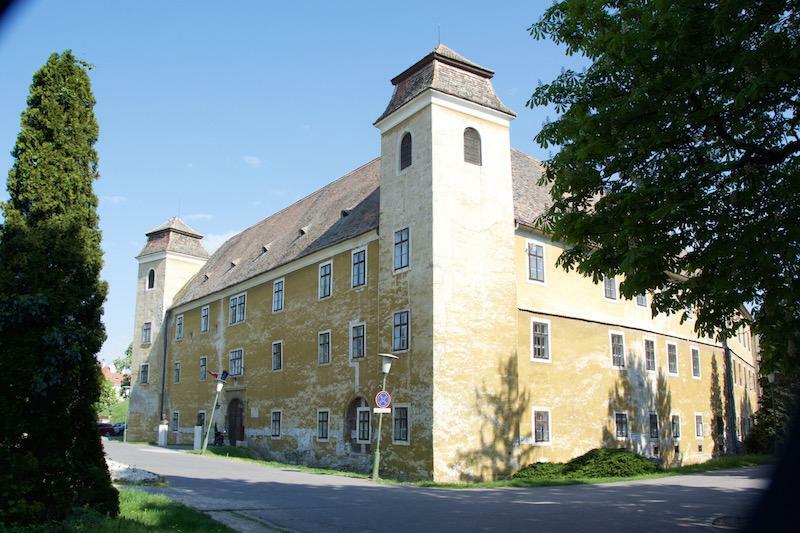 This area was once a part of the Habsburg Empire, which explains why the town also has a German name. This may in some small way help to explain why German is an equally useful language as English, if you don’t speak Hungarian. When you take a stroll through the old part of the town, you get a feel of the Old Europe, the way it was before all hell broke loose in 1914. The town prospers from its border trade. 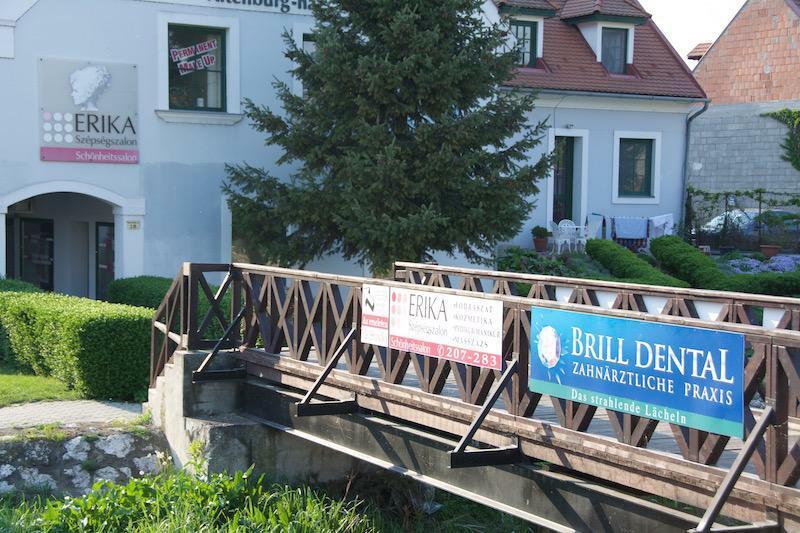 It’s full of dentists and beauty parlors that cater mainly to customers from Vienna across the nearby border. This is the main reason why German can be a useful language here. 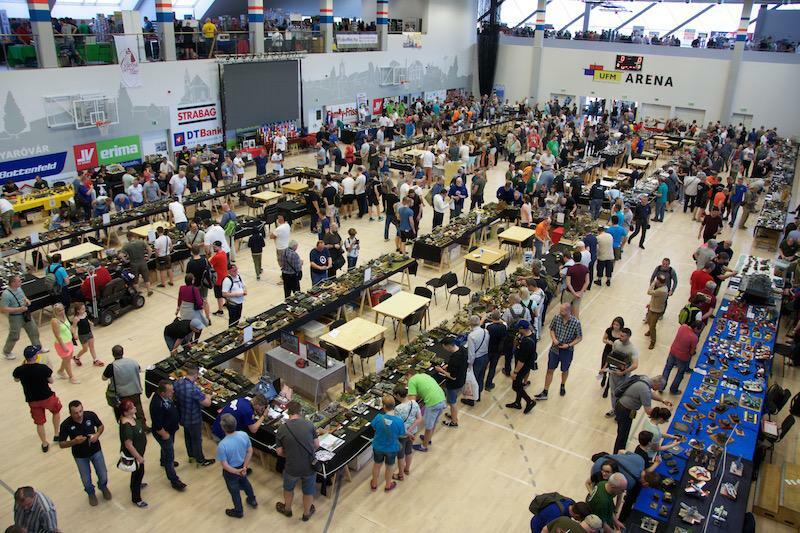 Once a year the little town hosts the largest modeling event on the European continent, the Moson Show. 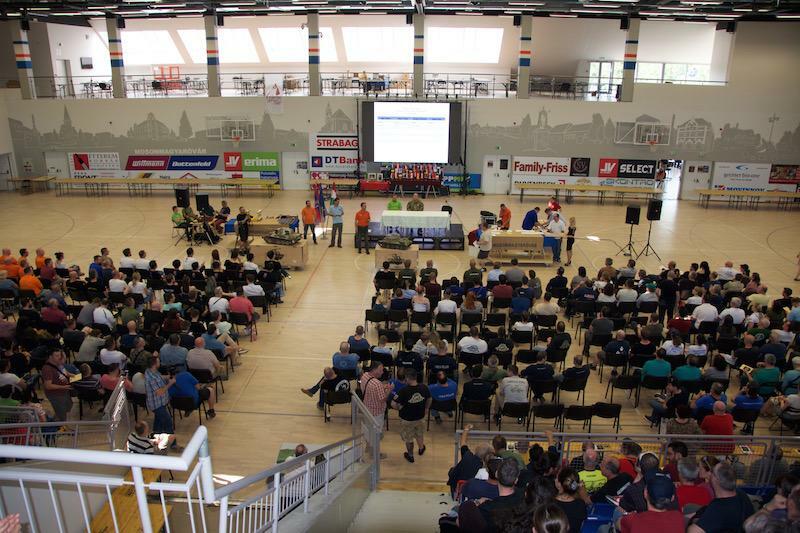 It’s held in the newly built sports hall. This event is an important boost to the local economy. It’s quite probable, that the modeling event was a heavy argument when the Town decided to build the hall. Indeed, one of the main explanations of the success of the event, is the good cooperation between the town authorities and the modeling club. People from all over Europe, and some from Asia as well, come to this show. From northern Norway in the north to Tunisia, Malta and Cyprus in the south. From Portugal in the west to Russia and Israel in the east. 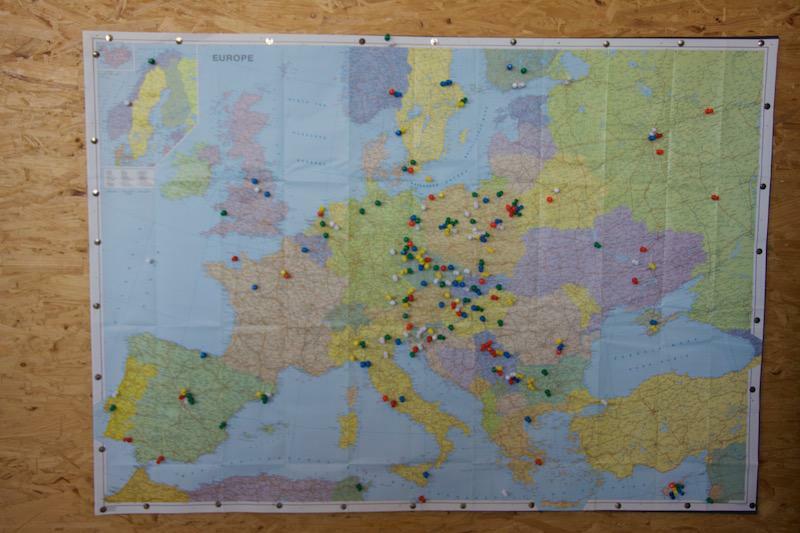 As you can see from this map though, most of the participants come from Central and Eastern Europe. So, if you want to see, or compete against, the cream of the strong eastern European modeling tradition, this is the place to go to. Saturday morning, and the hall is quickly being filled with people. It would soon get pretty crowded. Shows like this are a good occasion to meet modeling friends and to make new ones. I had the pleasure to get to know Marijn van Gils, famous for his diorama of the sinking USS Lexington. 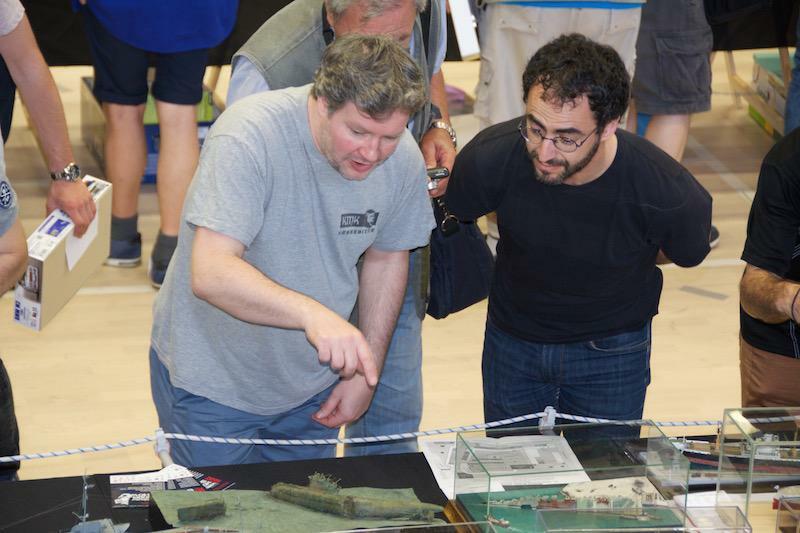 Here he is, explaining some of the subtleties of ship modeling to an interested listener. Traders were there en masse. This is an excellent opportunity to ruin your economy and to augment your stash of models and aftermarket parts, most of which you’ll probably never build or use. 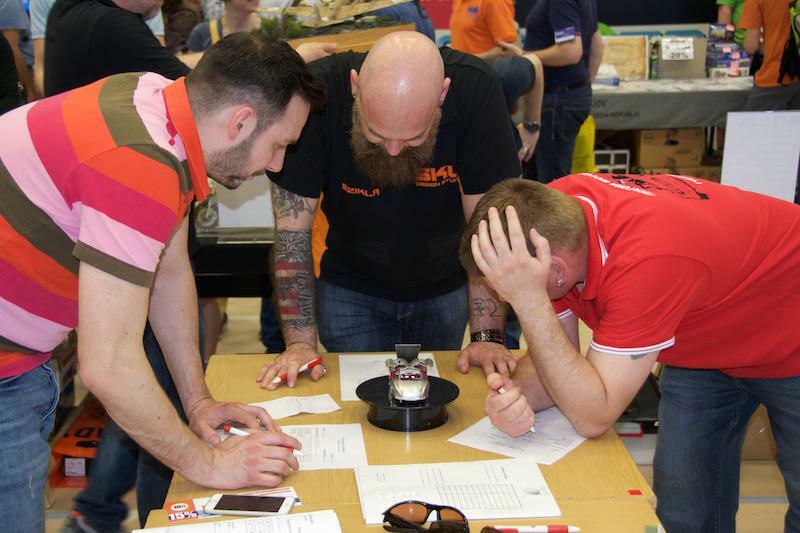 While most of us were busy, looking at models, shopping or socializing, the judges were sweating it out, picking out the medalists from the 2471 models that took part in the competition. The arrangers have thought of the kids too. If they get bored with looking at models, there are other things for them to do outside of the hall. 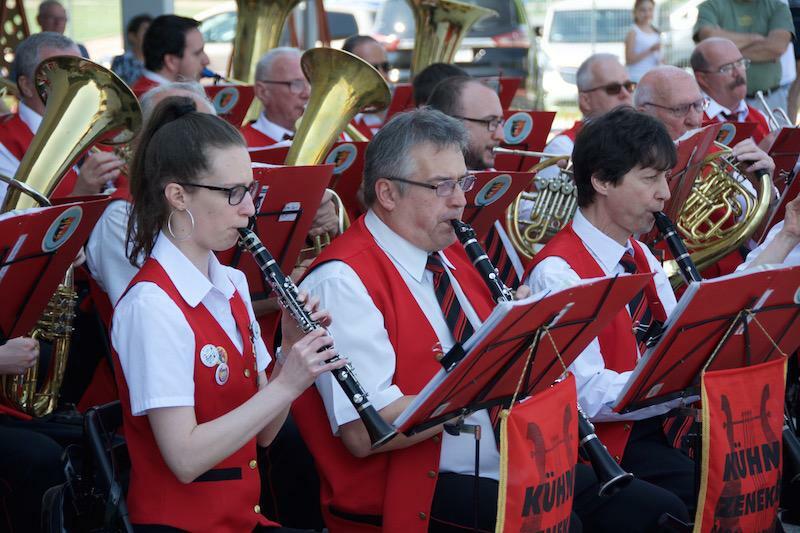 In good central European tradition, the town has its own marching band, which played on Sunday afternoon while the hall was being cleared of models and the price ceremony was being prepared. The music was dug by old and young alike. Three generations of musicians played in the band. The older musicians may have played more First of May Celebrations then they care to remember during the communist era. The young bass trombonist on the other hand, wasn’t even born then, or was too young to remember anything of it. As a general rule, the larger the modeling show is, the longer and more boring the price ceremony is. The arrangers had thought of that and devised a procedure that made the ceremony a bit quicker and shorter. The speaker at the ceremony had some trouble pronouncing Italian names. He made a joke of it, that was very well received by the Italian participants. It ended up being a running gag during the entire ceremony. It was actually one of the more enjoyable price ceremonies that I’ve experienced. What about the models, you may ask. Well, our editors were there and photographed the lot of them, so picture galleries have already started coming up on this site. I’ll conclude this article by giving you a glimpse of my two favorites. 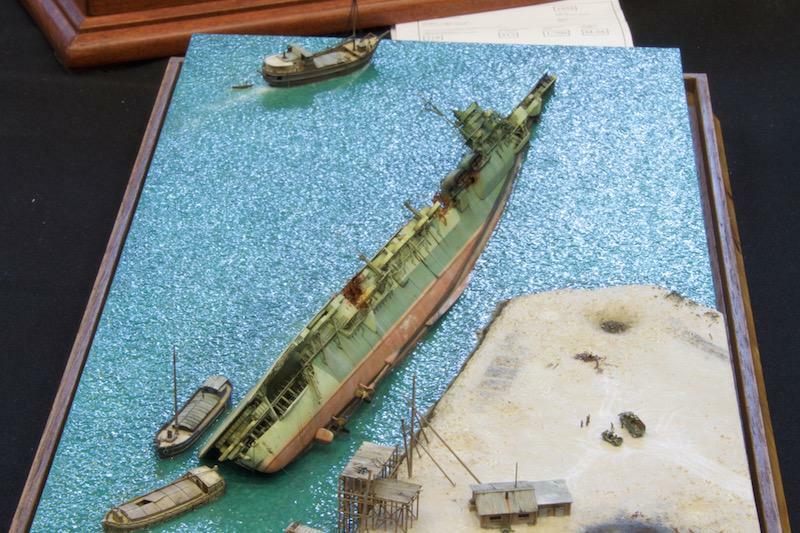 Marijn van Gils won Best of Ships with his diorama of the wreck of the Amagi. 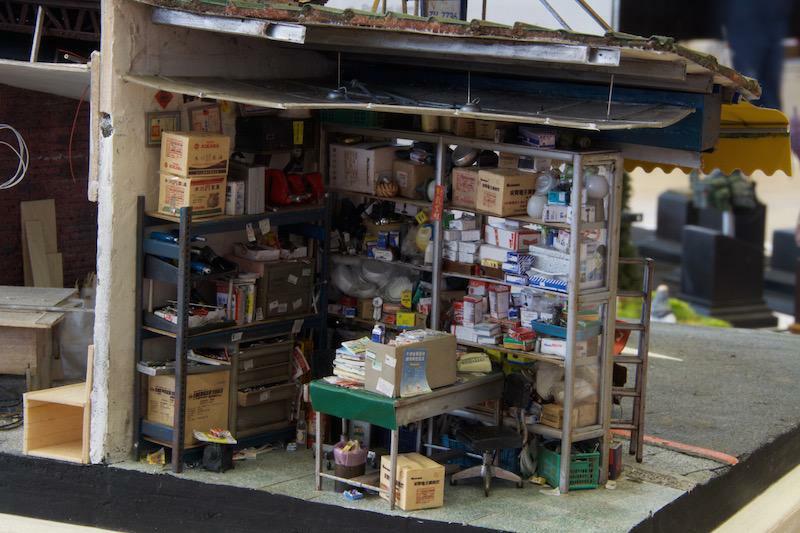 Then there was this diorama of a chaotic car maintenance workshop. This is my favorite piece of that dio. As I’m writing this, our editors are busy preparing more picture galleries from the show, so stay tuned if you want to see pictures of some of the best models in the World right now. 10 responses to Moson. The place and the people. Thanks for the virtual tour for those of us not in attendance, Ulf. We appreciate it. 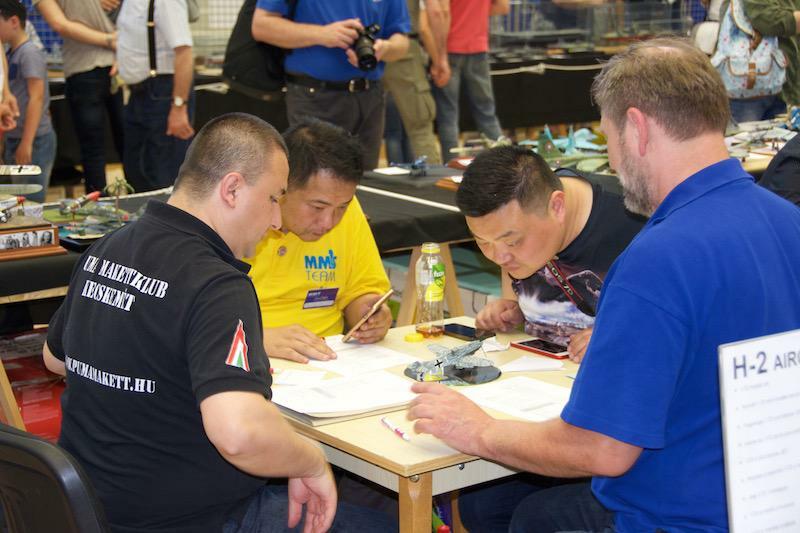 I think after this year’s British Nationals I may take a year out and go to Moson instead in 2019. Been thinking about it for a year or two, although I have to admit my German has drifted away over the years (It’s the British, you see, who think communicating with European nationals is simply a matter of shouting at them, repeatedly, in English.). Still, after my recent rant about model shows, Mir geht es gut! 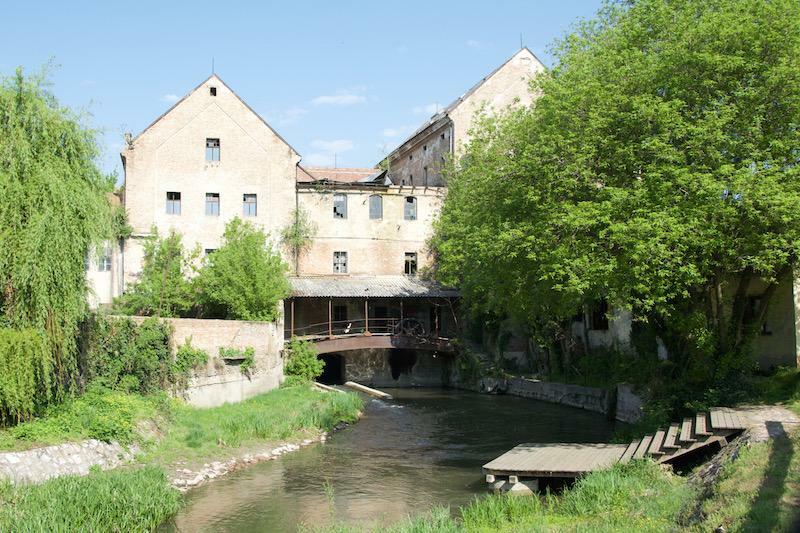 Moson is definitely worth a visit. English and some body language will be enough to get by. Wow, what a show. 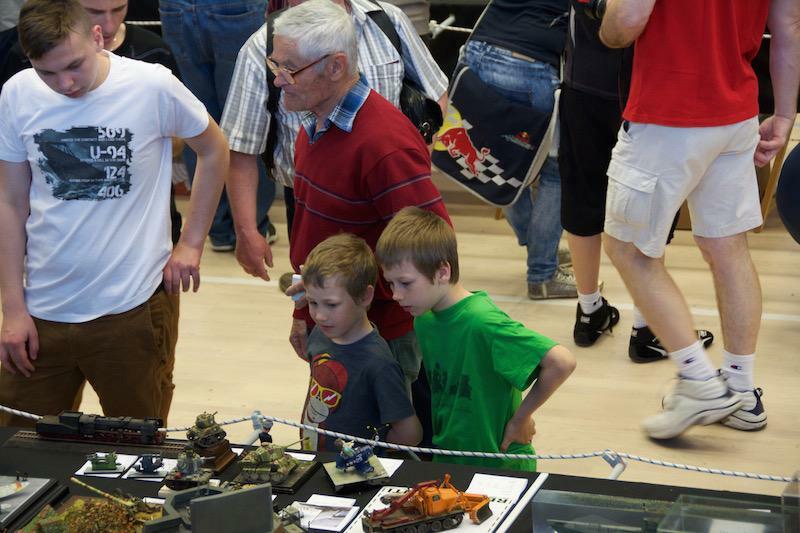 For those who think the hobby is dead – HAH! Your two favorites are in my top five, so yes to that. I think the diorama of the car shop might be the most incredible diorama I’ve ever seen. Saw elsewhere that the modeler is professionally an interior designer – that certainly shows. That show would definitely be something I’d love to see in person. Judging from this show, modeling is alive and kicking vigorously in all directions. With all the great models to see, all the people and the traders, it’s a very intense experience. After two days there, you’re exhausted. Thanks for this great article! Well I actually still have some tiredness – I’m still not be able to look at any kit for days after seeing those 2468 excellent works in life. Thanks, Ulf, I enjoyed reading this.